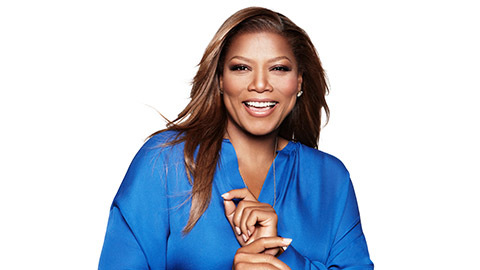 Queen Latifah makes her debut appearance at the legendary performance hall, The Kennedy Center, in Washington, DC!! Check out the social media post below from BASSic Black Entertainment CEO, Adam Blackstone, from the night’s performance!! 115 shows shows later, Justin Timberlake’s “Man of the Woods” tour has finally come to an end!! What started at the 2018 Super Bowl, that earned our very own Adam Blackstone an Emmy nomination, ended at The Mohegan Sun in Connecticut April 14, 2019!! 3 Different Legs, 88 shows in North America, and 27 in Europe!! Check out a few pics of Adam and The Crew Below!! 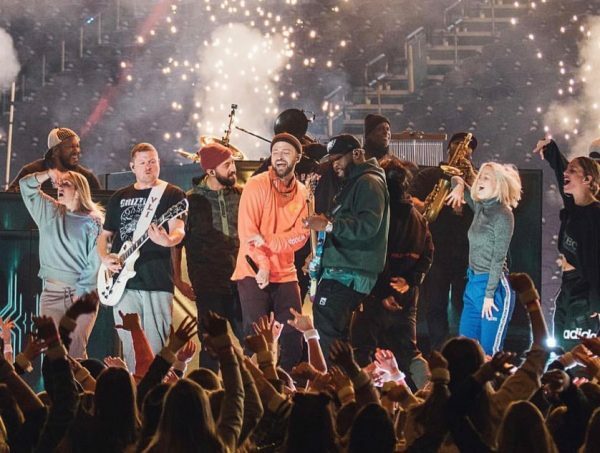 The 2019 iHeart Radio Music Awards highlighted some of the top songs and artist hitting the radio waves! 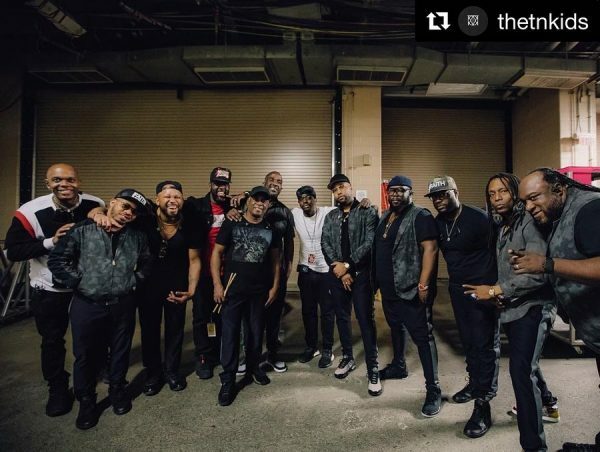 BASSic Black Entertainment, CEO, Adam Blackstone, and the BBE band performed with the incomparable Alicia Keys and, new artist, Ella Mai!! Check out a few clips of the performances below!! The Recording Academy paid tribute to the late, great “Queen of Soul” Aretha Franklin. The concert, which aired on CBS, was hosted by media mogul Tyler Perry and featured performances by some of the top names in the music industry today! 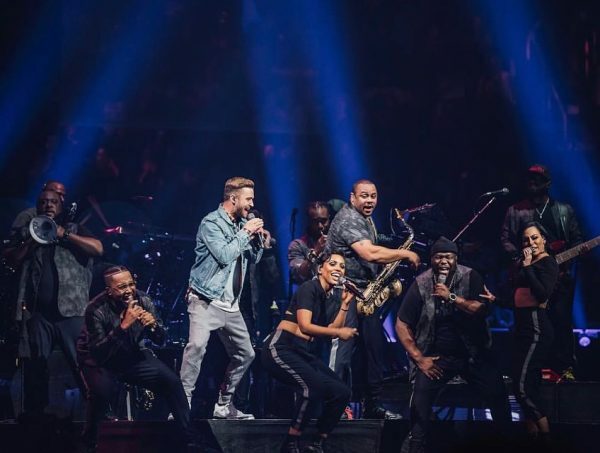 Adam Blackstone, CEO of BASSic Black Entertainment, had the distinct honor of being Musical Director and perform with Alicia Keys and Sza for this event. The two performed a medley of songs including “You’re All I Need to Get By”, accompanied by a full BBE band!! Check out the video of the performance below!! The 2019 All-Star Game took Charlotte by storm!! The BBE All-Star band was present and accounted for performing for two of the hottest rappers in the game!! 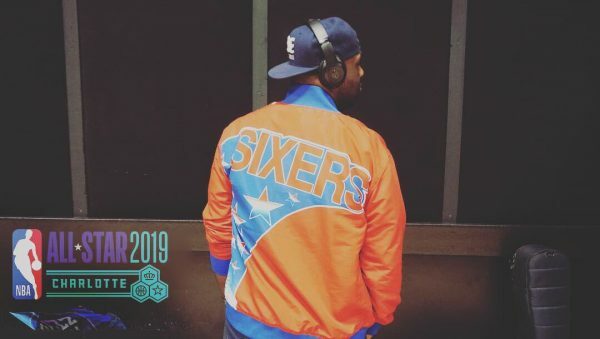 Philly’s own Meek Mill performed during the All-Star team intro and J-Cole performed during the half time show. With Adam Blackstone as Musical Director, these performances definitely had fans on their feet!! The Grammy Awards returned back home to Los Angeles this year for its 61st annual celebration! The show, hosted by Alicia Keys, featured a lot of surprises including an appearance from former First Lady, Michelle Obama! Adam Blackstone was Musical Director for the performances of Camila Cabello, Cardi B, and the show’s host, Alicia Keys. S/O to the BBE All-Star Band who brought Adam’s vision to life and executed it with such precision and perfection! The 2018 Miss Universe Pageant kicked off with an opening performance by Grammy Award-Winning Singer/Songwriter, NEYO! This special musical performance was directed by none other than Adam Blackstone and executed by a full #BBE Band!! Check out a video of the performance below!!! The 2018 Soul Train Awards did NOT disappoint! With hosts and long-time friends Tisha Campbell and Tichina Arnold, the former “Martin” cast mates took the audience on a trip down memory lane! The night’s performances included Faith Evans, BBD, Jon B., Carl Thomas, and up and coming Gospel artist Koryn Hawthorne to name a few. Adam Blackstone was once again musical director and the BBE All-Star band supported all the artists for the show! Check out a few clips of the performances below! CONGRATULATIONS to Adam Blackstone on his first Dove Award win as a Producer on the album “A Long Way from Sunday” which won Contemporary Gospel/Urban Album of the Year!! !